Metro: None, perhaps Spagna. An alternate is to take Bus 40 or 64 (get off at Piazza San Panteleo, 2 stops past Piazza Venezia, then walk 3 short blocks back east). 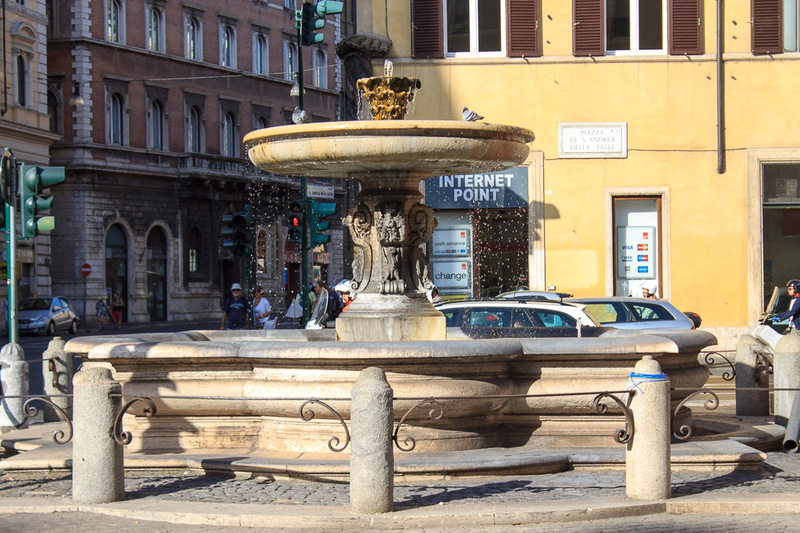 The Fountain in Piazza Sant'Andrea della Valle is a single-bowl fountain in which water from a central decoration flows into a large bowl which is quite high off the ground, which spills off into a large basin just above ground level. The pedestal which holds the bowl high off the ground is decorated with dragons set inside of scrolls. 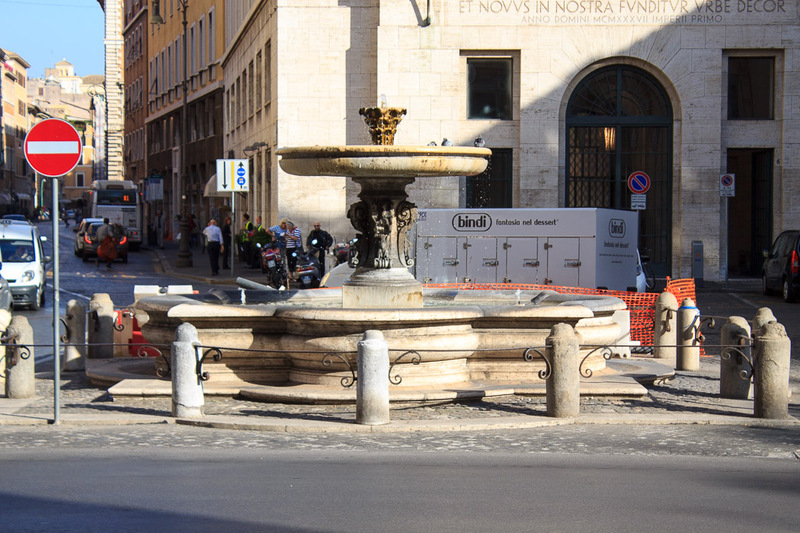 The fountain is located in the piazza on the north edge of the church of Sant'Andrea della Valle. 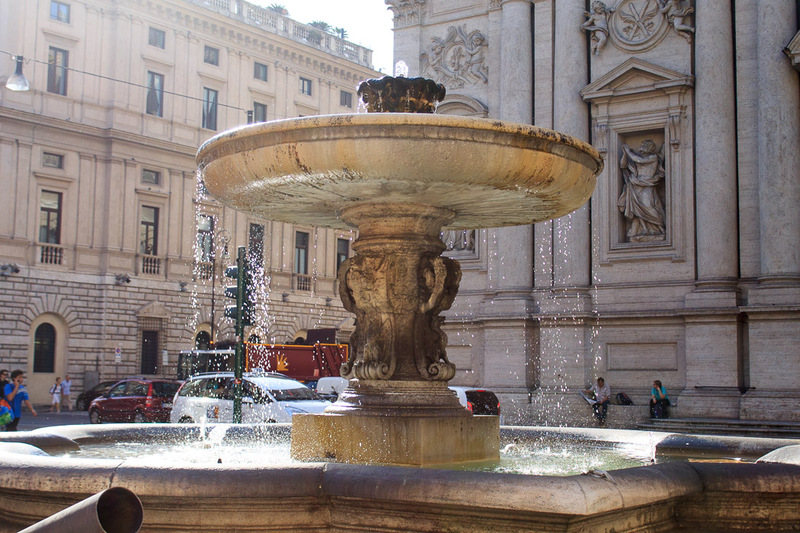 See all Fountain in Piazza Sant'Andrea della Valle photos.